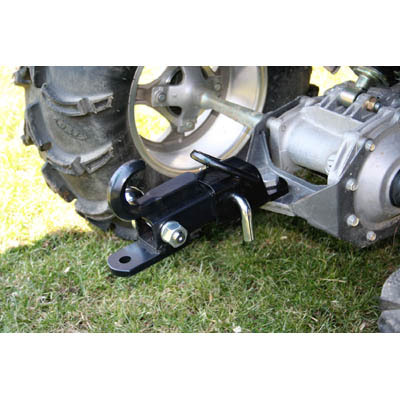 Receiver attaches to all ATVs and Lawn Tractors with factory hitches that accept a trailer ball. Receiver accepts 2in square drawbars. Rugged powder coated steel. 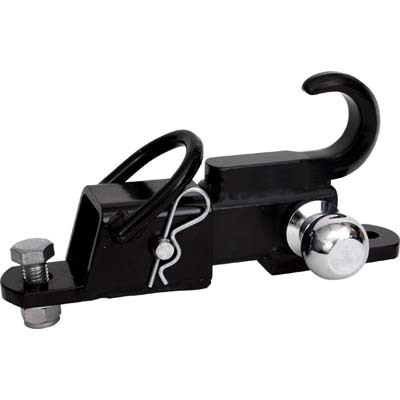 Includes bolt on receiver, 3 way drawbar, 2" hitch ball, pin, clip and mounting hardware. Requires hitch ball with ¾” diameter x 3” long shank (2” hitch ball included).